6 Steps to ace Job Hunting! Job Hunting can be overwhelming. Break it down into these 6 steps. What type of position do you want? What type of positions are you qualified for? Where do you want to work, big city, closer to home, remotely? Are you willing to travel for your position? You need to answer all these questions before you even start looking. The answers to these questions will give you a starting point. 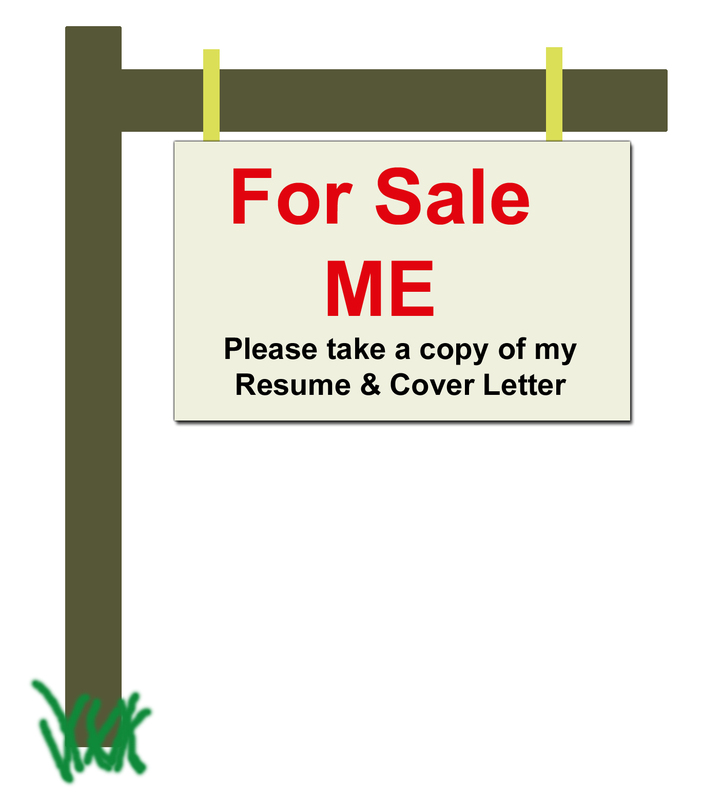 The Cover Letter, Resume and your Thank You Notes are your “sales presentation” and the product is “YOU”. If there are spelling or formatting mistakes your resume will hit the trash bin. 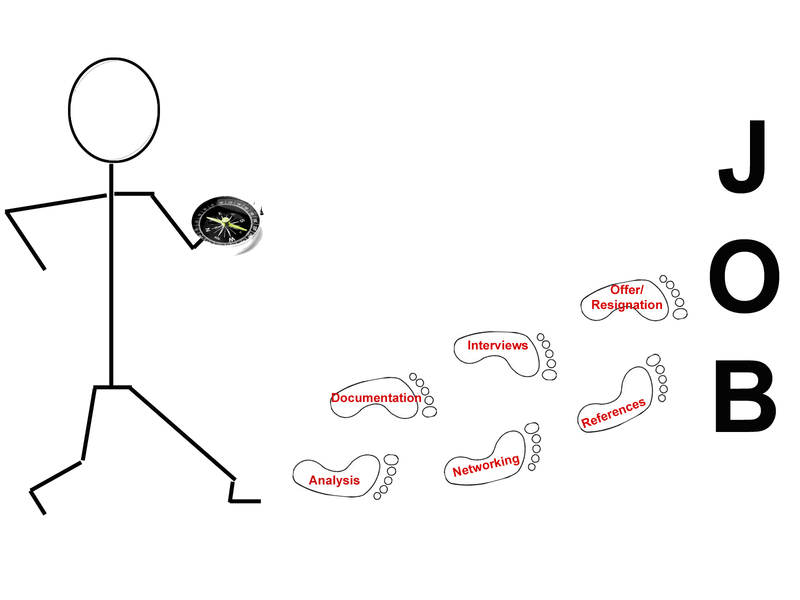 You need to use key words or the “ATS” (Applicant Tracking System) will never find it. All 3 documents need to be fine tuned for each position and company you are applying to. 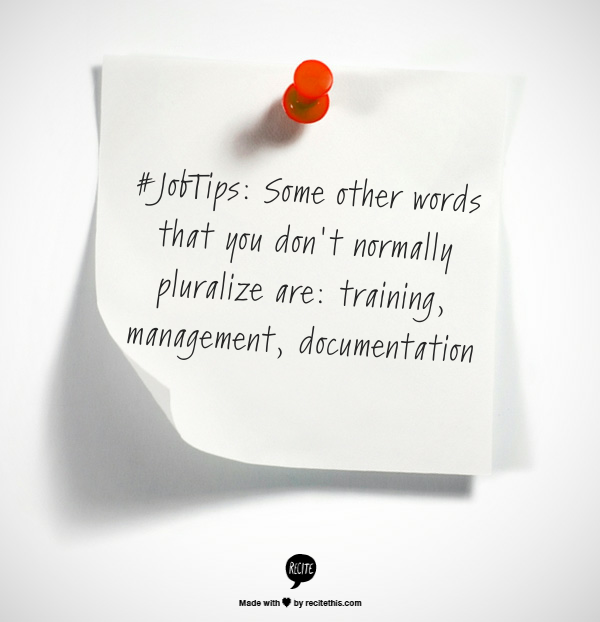 Have a friend or family member proofread each document before you send it. An extra fresh pair of eyes can save you all sorts of trouble. Having a colleague in the same position read it over is especially helpful as they will be able to help you fine tune it to suit the position and bring out your strengths as they relate to the position. It only works if you “work at it”. Networking takes effort. You can’t be shy!!!!. 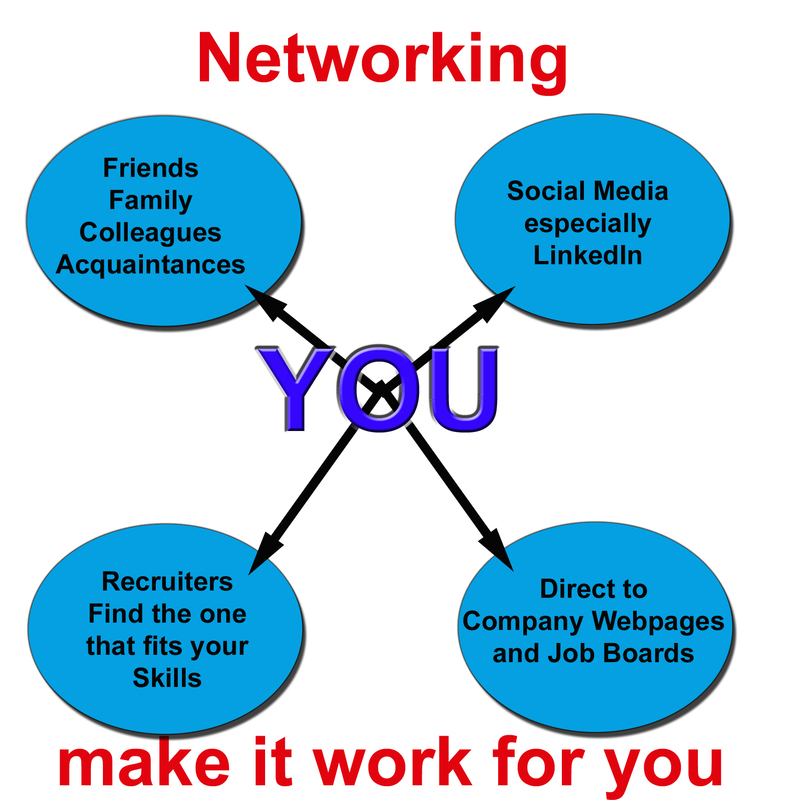 Again networking is a form of sales and this time you are asking people to be your salesmen/lead generator. Friends, Family, Colleagues, Acquaintances. How many times have you heard “I know someone who knows someone, whose cousin is …”. Be prepared to take advantage of all of these leads. Sometimes it is easier for you and someone not directly related to you to help you out. So “talk, talk, talk” to everyone. People genuinely like to help each other. LinkedIn is the best for connecting with people in the industry you want to get into. Twitter – follow the companies you are interested in. 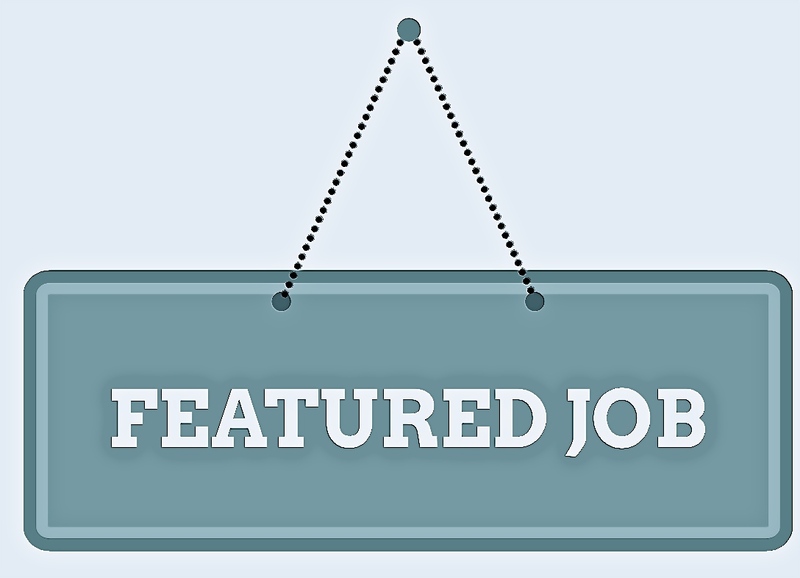 Jobs are posted on most company twitter accounts and as soon as you see it send your resume over lickety-split. Recruiters – find the right one. They have a wealth of information, but a number of them specialize whether in a field (accounting, technologies, finance, administration), or an industry (Government, Health, Manufacturing). Direct to Company Webpages or Job Boards. This is the best way to find out if your favourite company is looking for people. Then you can try and connect with someone from the list above. Getting through the Company ATS system is very difficult, but it gives you a good starting point. Study your resume, know it inside and out. Be able to expand on the points in it in a clear and concise way. “umms” don’t work in interviews. Telephone Interviews – a quiet area, a charged phone, no distractions and dress for it, don’t be all slouchy in your pjs. 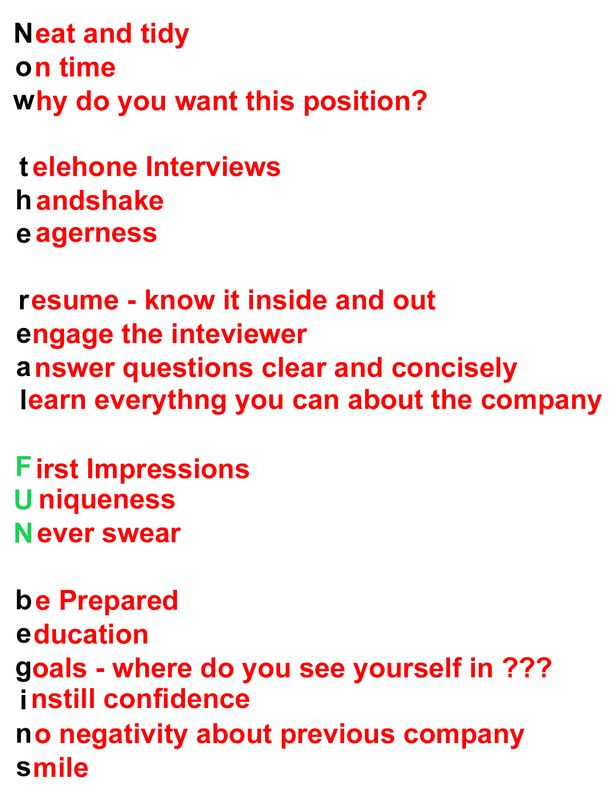 The 1st Interview is frequently with HR/Recruiter. Are you a fit? Do you have the qualifications you say you do? How are your communications skills? There may even be a technical test. 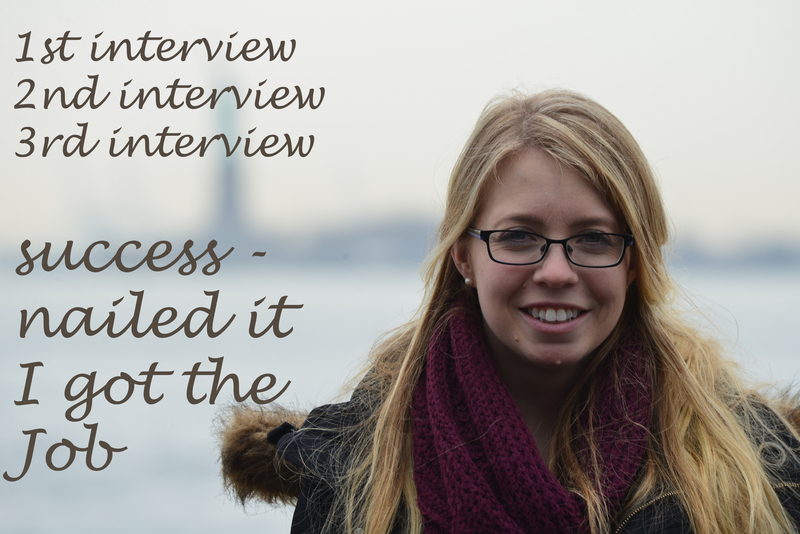 2nd and 3rd Interviews are usually with the group you will be working with. This will get into more of the nitty gritty of the position and they will also want to know if you are a fit for the group. First Impressions are important – smile, firm handshake, cleanliness – are way more important than you might think. It goes without saying that you need 3 business references and they better be saying positive things about you. Send them a copy of your resume and the position you are being considered for. Check out my powerpoint/slideshare presentation for a few more tips. Now relax, pour yourself a glass of your favourite nectar and get ready for your new adventure. Lynne Carlson started her career off in administration, moved to Cobol Programing and for the last 14 years worked in all things recruitment. Absolutely love social media and excited about all the new innovations appearing every day! Meet Ken, an Expert Analyst for the Digital Revolution. A leader who is always pushing himself onto bigger and more challenging goals, he brings staggering confidence and determination to each of his projects. An expert Business Strategy with technical expertise in Gamification, Ken has always gravitated to leadership roles in his career. That leadership has helped him with everything from running marathons to graduating from his MBA program in the top 10% of his class. His accomplishments don’t stop there. He completed his Performer’s ARCT in piano by the age of 15. He completed a certification in bartending and a few years ago he was involved in competitive Hip Hop Dance! Given all this, it’s obvious that Ken has a passion and zest for life. “Part of what makes me unique is that at first glance I may seem like a fairly technical guy who is only academically inclined. On second glance, and what often surprises people is my interests outside of the workplace, and my passion for personal development. The academics are nothing to ignore though. His undergraduate degree was in Economics and Accounting from Wilfrid Laurier University. He went on to get his MBA at Hult International Business school and graduated with Distinction. He didn’t stop there, and went on to do an internship where he became an expert in Gamification. During this time period he mastered giving presentations on product solutions at departmental meetings, and on business strategy in front of client executives. From there, he became one of the point people on the development of the Rogers roaming data pass, from conception right through until launch. He was project manager, leading others in a highly technical environment while testing the products for issues in function and speed all over the US, and in various destinations in Europe. His work experience has allowed him to develop a talent in reporting and analysis using a wide variety of relational database programs, and scripting applications. “As individuals, we are constantly exposed to information and ideas through digital mediums. We have become hugely dependent on this information even, if it isn’t the most credible source. As a business, one of the best ways to deal with this is to be upfront about the good and the bad of their products and services, giving people less ammunition to possibly slander the reputation and image of a company. I think the best way for a company to survive in the Digital age, is to be as transparent as possible,” says Ken. Tip: Keep track of where you have sent your resume, incl dates, all responses, etc. Be prepared to follow up in 10 days. Today we have another fantastic Guest Blogger gracing our digital pages! 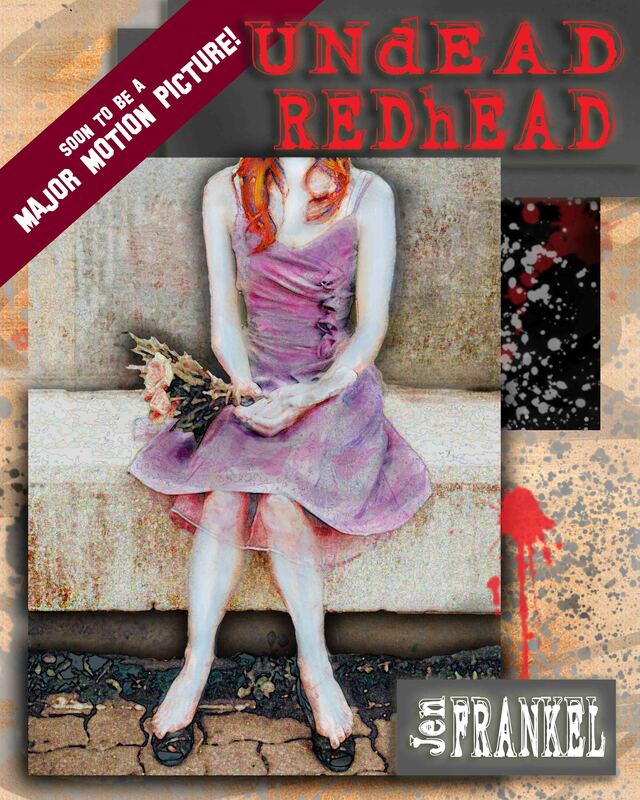 Meet Jen Frankel- writer extraordinary and the author of the Blood and Magic and Undead Redhead series. She’s is a self published author who ventured into the turbulent waters of authorship when technology was redefining many existing mediums. Books were no exception. I asked her here to talk about a few of her experiences, for all of you aspiring writers or readers out there. I’ve wanted to be a writer since I was in my early teens—and a storyteller even longer. 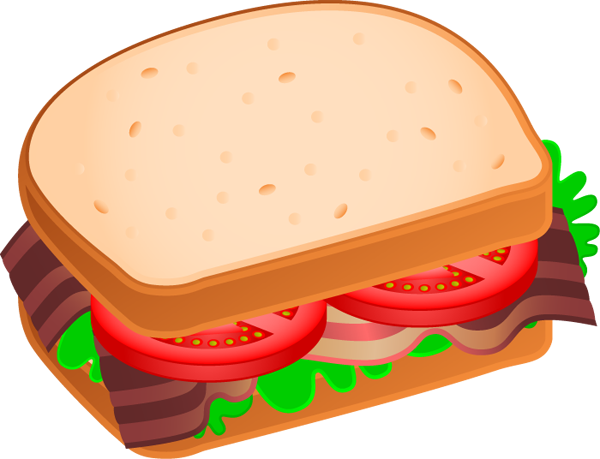 But the problem was always to discover how to access “the sandwich meat,” you might say. I knew what the bread was on either side: write good stuff, and be published. But I had no idea how to get from one side of the sandwich to the other. A lot of people must look at the path to becoming a writer the same way, as a gap of insurmountable magnitude. Your end as a creator is hard enough, but how to connect with the system full of people and mechanisms that could get your work out to a mass market? I began as a lot of others must, trying to just get my writing into as many hands as possible. I started on a typewriter, pasting up my pages with Scotch tape and photocopying my stories and articles at the local Shoppers Drug Mart. My early attempts to attract any notice from Canadian publishers in particular was an exercise in futility. By the time I was twenty, my bathroom was liberally papered with rejection slips. Now, I am an independent author of four books, one of which has been optioned as a feature film, and the proud surveyor of an ever-growing fan base. 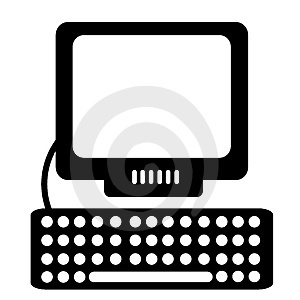 My best friend is modern technology, especially the Internet and the businesses that have developed because of it. Without the advances, I would not be able to do what I do, or see a future in this field. Traditional publishers are, no matter what they think, relatively closed shops—especially in Canada where the arts are a cliquish place indeed. Publishers who can get your book into Chapters or Barnes and Noble are as likely to neglect or drop you altogether than further a successful career for you. I went into the independent world because I knew that the things traditional editors saw as problems would be the ones that readers would embrace. Instead of being a marketing nightmare, I’m my own niche. And with technology on my side, and a brilliant publicist to help me make connections that matter, I know that the world is finally a place where I can succeed to the best of my ability to create solid work and put in the effort. The Web and software innovations have allowed me to have the career I wanted without the kind of compromises I would have made with a traditional publisher—who probably would never have wanted to know me in the first place! The biggest sadness I have is in having known from my early years that publishing in Canada through a traditional press would probably be impossible. Very few major Canadian presses have been interested in writers of genre, and the ones that have grown up recently have limited resources. I see more hope for the future in Canada because of independents with fan bases who might be able eventually to form a mutually beneficial relationship with a Canadian publisher, but very little potential currently for an author who hopes to build a career by being published in Canada. Last year I was walking around Downtown. For those of you who are familiar with Toronto, I was at the intersection of Yonge and Bloor – one of the busiest corners in the city. 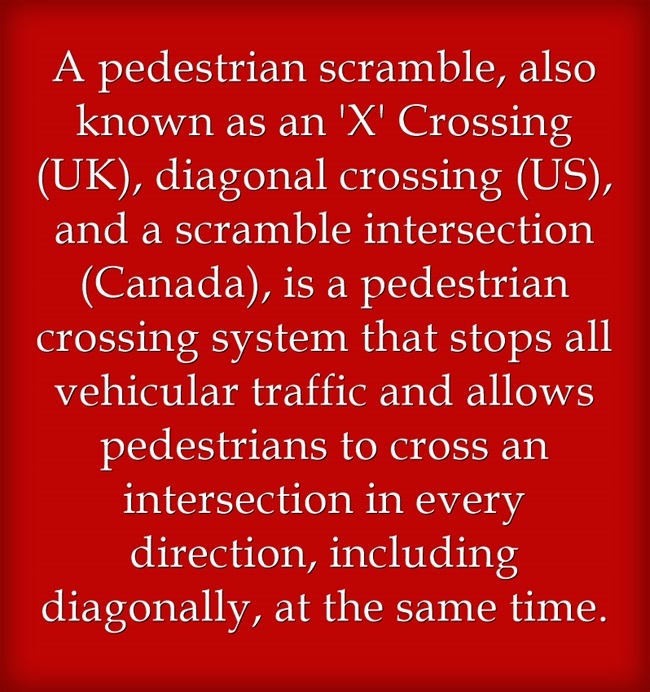 It is also one of the few intersections in Toronto that has a scramble. As I was crossing, I noticed a bunch of men wearing sports Jerseys running into the centre of the street during the scramble. Now – I do live in Toronto and normally this wouldn’t be very noticeable. But it was late November and well below freezing, so I stopped to watch. A few seconds into the crossing, they began to shout, chant and move. As soon as the scramble ended, they dashed to the side walk to wait for the next red light when they could do it again. Curious, I asked one of them what, exactly they were doing. They were the Maori All Blacks New Zealand Rugby team, and they had a match with the Toronto team in a few days. They were doing a flash mob to draw attention to the match. It certain worked on me! And if the crowds hanging around the intersection were any indication, I wasn’t the only one. A Flash Mob is a spontaneous public performance. They appear seemingly out of no where (usually starting with just one person) before growing to hundreds of people, then quickly disappearing. My personal favourites are dances, but there are many different types. Pillow fights, standing still, random meals in the middle of the city – the possibilities are as odd and endless as human ingenuity. 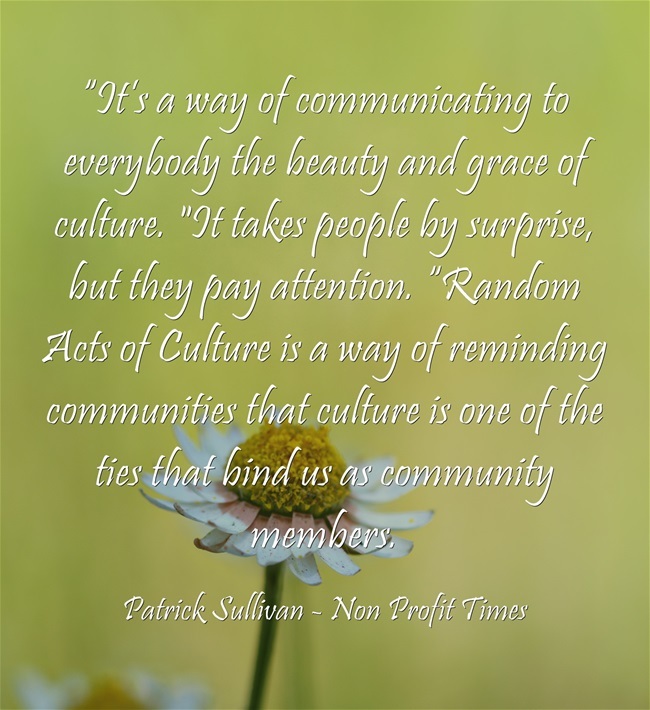 The people who participate in them are from all walks of life. As to why people participate in them – maybe it makes people feel like they are part of something bigger. WHEN DID FLASH MOBS START? The brain child of Bill Wasik, senior editor of Harpers Magazine, tt all began in Manhattan in 2003. Believe it or not, the first attempt at a Flash mob was a complete flob! The targeted retail store was tipped off about the plan for people to gather. The first successful flash mob was on June 17, 2003 at the Macy’s department store. It worked by sending participants to a preliminary staging area – in four separate Manhattan bars, where they received further instructions just before the event began. Over 130 people converged upon the ninth floor rug department of the store, gathering around an expensive rug. Anyone approached by a sales assistant was told to say that all of them lived together in a warehouse on the outskirts of New York, that they were shopping for a “love rug”, and that they made all their purchase decisions as a group. At the same time, 200 people flooded the lobby Hyatt hotel and all applauded for 15 seconds. A third group invaded a shoe boutique in SoHo where participants all pretended to be tourists on a bus trip. From there, the craze grew. 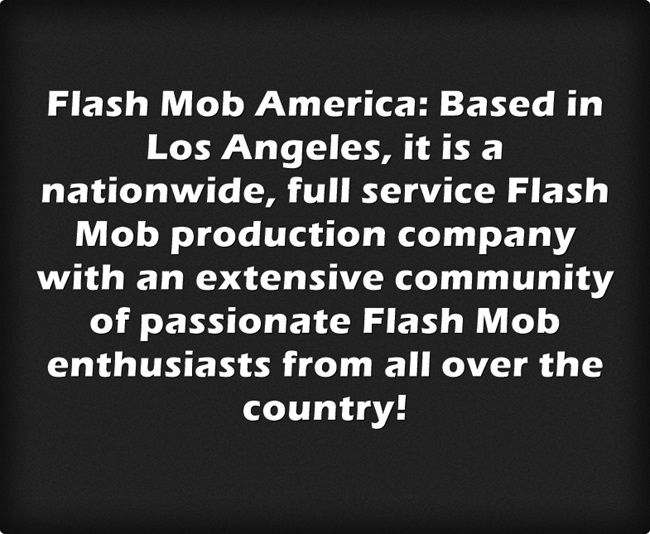 What’s so amazing about flash mobs is their organization. Ten years ago, it would have been nearly impossible for one to be held, and for information to be transferred as quickly as needed. Facebook: Create a Facebook event with all the details of the event and invite everyone you know. You can update the event or send messages to participants if plans change. Kijiji or Craigs list: Put an add a free classified site for all those interested who don’t have Facebook accounts. Having your event on more platforms means more outreach. Twitter: Write a couple of tweets explaining your event and linking to either you webpage, Facebook event or your craigslist add. People will retweet your tweet, adding a viral effect to your outreach. YouTube: When all is said and done, post a video of the mob on YouTube and link to it in your blog / website. Others will embed the video or link to it, thereby exposing your cause to many more people than were reachable at the event itself. Instagram: Post pictures of your mob on Instagram for the world to see. If you license them under a Creative Commons license, others will use your pictures online and spread your message themselves. 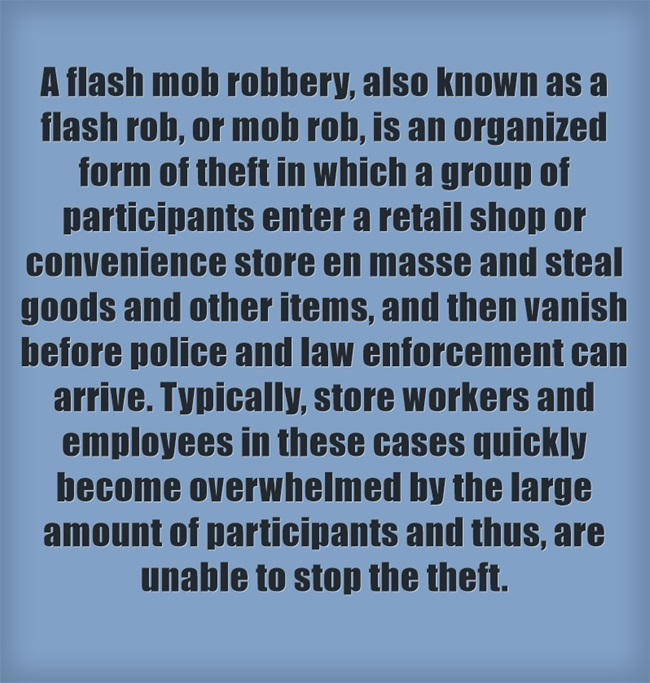 Of course, there is a dark side to Flash Mobs as well. On Tuesday of last week there was a Flash Mob Robbery at a 7-Eleven in Washington. Over twenty people entered the store, and quickly overwhelmed the police and the store clerks. Too much was happening at once, so it was exceedingly difficult to catch any criminals. Sometimes the particpants might not even be aware they are being used to commit a crime. Flash Mobs draw crowds; there have been cases that someone organizes a seemingly innocent event to act with the anonymity that a crowd can provide. Not to mention the simple disruption that Flash Mobs cause. Some cities are reacting to this by making Flash Mobs illegal. The city of Braunschweig, Germany has stopped flash mobs by strictly enforcing the already existing law of requiring a permit to use any public space for an event. In the United Kingdom, a number of flash mobs have been stopped over concerns for public health and safety. The British Transport Police have urged flash mob organizers to “refrain from holding such events at railway stations”. It didn’t take long for Flash Mobs to use the attention they were getting to redirect to important causes. As with any buzz worthy trend, many nonprofits and local volunteers have tapped into the viral power of flash mobs to help generate buzz and donations around a cause. YouTube, Vine and other social media platforms have amplified the power of these not-so-improved improvisations by broadcasting videos of the acts and making them viral for millions of viewers around the world. A Flash Mob doesn’t last for just a flash any more, and the donations that one can draw can last as long as they are online. Check out this one done at the Toronto Eaton Centre in 2010 to raise awareness of women’s cancers. Organizing a flash mob advertising campaign is very cheap compared to using traditional media types. Really, the only costs found with conducting a flash mob may consist of paying the public venue (I.e. subway station, train station, mall) a fee to either broadcast music over their speakers if its needed, and the costs of videotaping the event to post on the internet at a later time. Mobile Phone Company T-Mobile is the reigning king of using Flash Mobs for advertising. In the last few years they did a ‘flash mob campaign’ called life is for sharing. In the end, they reached over 46 million YouTube views. Unlike traditional advertising, these videos were actively sought out by the public. The one below is my personal favourite. Of course, this isn’t restricted to non profits or advertisers. Anyone can use the power of a Flash Mob to create Buzz about a topic or product. Oprah and the Black Eyed Peas captured some of this by holding a flash mob to celebrate the 24th season of her show. We’ve seen Flash Mobs in Canada, The U.S. and London. But what about elsewhere?T20 Cricket World Cup recently held a Flash Mob contest. The tournament was held in Bangladesh and ran from March 16 to April 6. The official song was called Char Chokka Hoi Hoi. T20 Cricket World cup challenged groups around the country to hold and film their own flash mob before submitting it to their youtube channel. The video with the most views would be played in the stadium during the tournament. Flash Mobs are a powerful marketing tool for the Digital Age, whether your cause is for profit or charity. Now if you’ll excuse me, I’m going to go watch a few more. Just because AT&T has some great ‘Flash Mob’ style advertisements, I’m going to throw this one in. It might make you smile. It’s a fake Royal Wedding flash mob, populated with Look-a-Likes. Part of their Life is for sharing campaign. 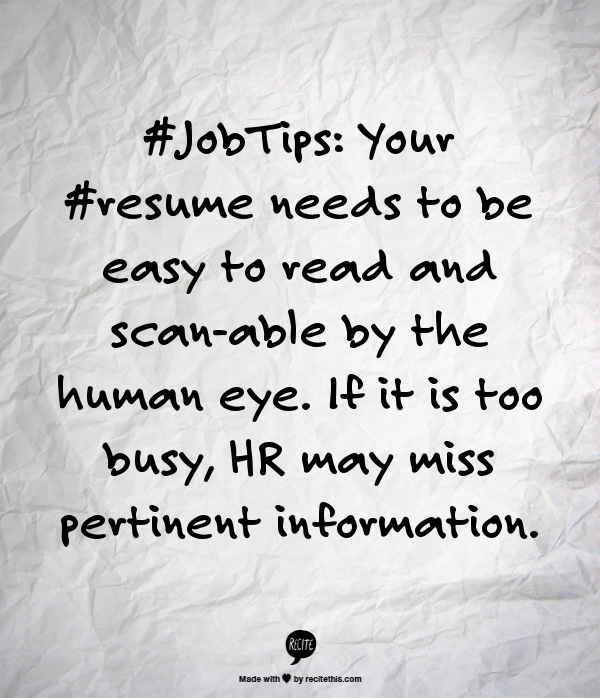 #JobTips: Your #resume needs to be easy to read and scanable by the human eye. If it is too busy, HR may miss pertinent information.